Your pet’s dental health is important to your pet’s overall health. 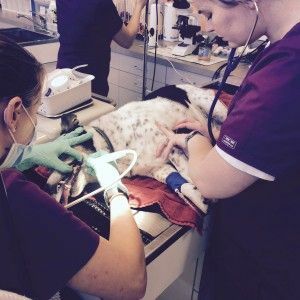 Periodontal disease not only affects your pet’s mouth, but the bacteria involved in the disease can cause life-threatening damage to the heart, liver, and kidneys of your pet. 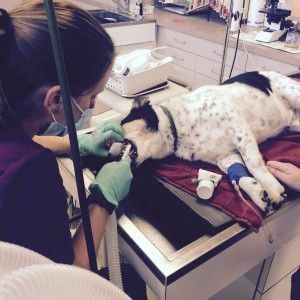 To help, the doctors at Elm Point Animal Hospital will provide excellent dental care for dogs and cats and educate you, the owner, about the importance of proper dental care throughout your pets’ lives. View our before and after pictures for patient teeth cleanings! Click Here.